In this Aug. 31, 2018, file photo, the Rev. Jasper Williams, Jr., delivers the eulogy during the funeral service for Aretha Franklin at Greater Grace Temple, in Detroit. Williams, a fiery, old-school pastor who is under fire for saying black America is losing "its soul" at Franklin's funeral stands firm by his words with the hopes that those critics can understand his perspective. He told The Associated Press in a phone interview Sunday, Sept. 2, he felt his sermon was appropriate. The late Aretha Franklin's family said Monday that it found an Atlanta pastor's eulogy delivered at the Queen of Soul's funeral last week to be offensive and distasteful. The eulogist, the Rev. Jasper Williams Jr., was criticized for a political address that described children being in a home without a father as "abortion after birth" and said black lives do not matter unless blacks stop killing each other. Franklin's funeral was on Friday. "He spoke for 50 minutes and at no time did he properly eulogize her," said Vaughn Franklin, the late singer's nephew, who said he was delivering a statement for the family. Franklin said that his aunt never asked Williams to eulogize her, since she didn't talk about plans for her own funeral. The family selected Williams because he has spoken at other family memorials in the past, most prominently at the funeral for Franklin's father, minister and civil rights activist C.L. Franklin, 34 years ago. 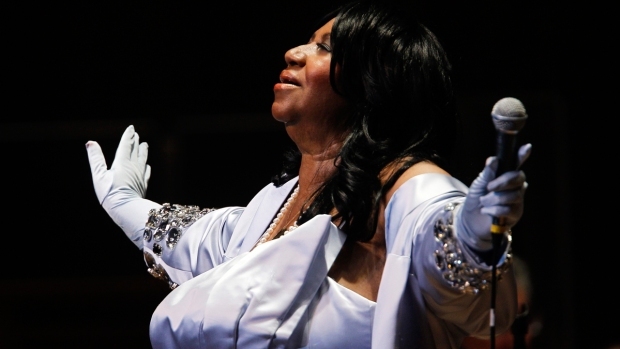 Legendary singer Aretha Franklin, revered as the Queen of Soul, has died. She was 76. The singer won 18 Grammy awards and was the first woman elected to the Rock and Roll Hall of Fame. Williams has not backed down from anything he said at the funeral, and said he respects the family's opinion. "I understand it," he said. "I regret it. But I'm sorry they feel that way." Besides a social media uproar, Williams heard resistance at the funeral itself. Singer Stevie Wonder yelled out "black lives matter" after the pastor said, "No, black lives do not matter" during his eulogy. Williams had minimized the Black Lives Matter movement because of black-on-black crime. "Black lives must not matter until black people start respecting black lives and stop killing ourselves." He also said "there are not fathers in the home no more" and said that a black woman cannot raise a black boy to be a man. Some people suggested that was disrespectful of Aretha Franklin, a single mother of four boys. His eulogy "caught the entire family off guard," Vaughn Franklin said. The family had not discussed what Williams would say in advance, he said. "It has been very, very distasteful," he said. He said it was unfortunate because everyone else who participated in the ceremony was very respectful.